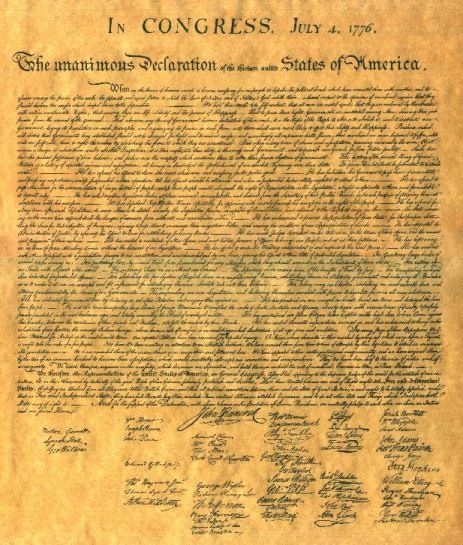 From the Declaration of Independence: "And for the support of this Declaration, with a firm reliance on the protection of divine Providence, we mutually pledge to each other our Lives, our Fortunes and our sacred Honor." Have we, as Americans, lost the commitment to make this kind of pledge? It is time for all of us to stand and put some skin in the game. Be bold and express your values, even if it is uncomfortable or you are afraid it might bring you ridicule or harm. Read below about the sacrifice made by these brave patriots who signed this great document that we might live in liberty and with freedom. It was a glorious morning. The sun was shining and the wind was from the southeast. Up especially early, a tall bony, redheaded young Virginian found time to buy a new thermometer, for which he paid three pounds, fifteen shillings. He also bought gloves for Martha, his wife, who has ill at home. Thomas Jefferson arrived early at the statehouse. The temperature was 72.5 degrees and the horseflies weren't nearly so bad at that hour. It was a lovely room, very large, with gleaming white walls. The chairs were comfortable. Facing the single door were two brass fireplaces, but they would not be used today. Then Congress transformed itself into a committee of the whole. The Declaration of Independence was read aloud once more, and debate resumed. Though Jefferson was the best writer of all of them, he had been somewhat verbose. 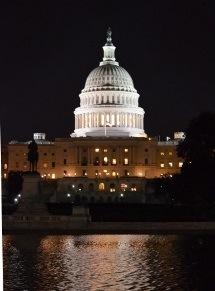 Congress hacked the excess away. They did a good job, as a side-by-side comparison of the rough draft and the final text shows. They cut the phrase 'by a self-assumed power.' 'Climb' was replaced by 'must read,' then 'must' was eliminated, then the whole sentence, and soon the whole paragraph was cut. Jefferson groaned as they continued what he later called 'their depredations.' 'Inherent and inalienable rights' came out 'certain unalienable rights,' and to this day no one knows who suggested the elegant change. Here in this hall Patrick Henry had once thundered: 'I am no longer a Virginian, Sir, but an American.' But today the loud, sometimes bitter argument stilled, and without fanfare the vote was taken from north to south by colonies, as was the custom. 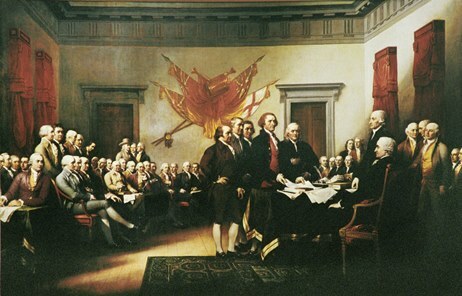 On July 4, 1776, the Declaration of Independence was adopted. It was principle, not property, that had brought these men to Philadelphia. Two of them became presidents of the United States. Seven of them became state governors. One died in office as vice president of the United States. Several would go on to be U.S. Senators. One, the richest man in America, in 1828 founded the Baltimore and Ohio Railroad. One, a delegate from Philadelphia, was the only real poet, musician and philosopher of the signers (it was he, Francis Hopkinson – not Betsy Ross – who designed the United States flag). 'Most glorious service' Even before the list was published, the British marked down every member of Congress suspected of having put his name to treason. All of them became the objects of vicious manhunts. Some were taken. Some, like Jefferson, had narrow escapes. All who had property or families near British strongholds suffered. Francis Lewis, New York delegate saw his home plundered and his estates in what is now Harlem, completely destroyed by British soldiers. Mrs. Lewis was captured and treated with great brutality. Though she was later exchanged for two British prisoners though the efforts of Congress she died from the effects of her abuse. Judge Richard Stockton, another New Jersey delegate signer, had rushed back to his estate in an effort to evacuate his wife and children. The family found refuge with friends, but a Tory sympathizer betrayed them. Judge Stockton was pulled from bed in the night and brutally beaten by the arresting soldiers. Thrown into a common jail, he was deliberately starved. Congress finally arranged for Stockton's parole, but his health was ruined. The judge was released as an invalid, when he could no longer harm the British cause. He returned home to find his estate looted and did not live to see the triumph of the revolution. His family was forced to live off charity. Robert Morris, merchant prince of Philadelphia, delegate and signer, met Washington's appeals and pleas for money year after year. He made and raised arms and provisions which made it possible for Washington to cross the Delaware at Trenton. In the process he lost 150 ships at sea, bleeding his own fortune and credit almost dry.eorge Clymer, Pennsylvania signer, escaped with his family from their home, but their property was completely destroyed by the British in the Germantown and Brandywine campaigns. Thomas Nelson, signer of Virginia, was at the front in command of the Virginia military forces with British General Charles Cornwallis in Yorktown. Fire from 70 heavy American guns began to destroy Yorktown piece by piece. Lord Cornwallis and his staff moved their headquarters into Nelson's palatial home. While American cannonballs were making a shambles of the town, the house of Governor Nelson remained untouched. Nelson turned in rage to the American gunners and asked, "Why do you spare my home?" They replied, "Sir, out of respect to you." Nelson cried, "Give me the cannon!" and fired on his magnificent home himself, smashing it to bits. But Nelson's sacrifice was not quite over. He had raised $2 million for the Revolutionary cause by pledging his own estates. When the loans came due, a newer peacetime Congress refused to honor them, and Nelson's property was forfeited. He was never reimbursed. He died, impoverished, a few years later at the age of 50. — Rush H. Limbaugh, Jr.